The first North Tyneside Business of the Month has been revealed and the crown has been awarded to Jackie Collins Consultancy Ltd.
A newly established recruitment agency based in Longbenton which is already successfully placing permanent and temporary staff in businesses across North Tyneside. Having worked in recruitment for more than 27 years, Jackie Collins who lives in Longbenton, made the brave move to set up on her own to provide recruitment and temp placement services to the region’s business community. Within her first month of trading the 55 year old had secured contacts with a range of businesses, and attracted a number of experienced candidates to work with her. Commenting on her success Jackie Collins said: “After being made redundant from my former role in recruitment in December, I decided to start my own consultancy, providing general recruitment services to businesses throughout North Tyneside and the Business Factory has been amazing in the support that it has offered to me over the past few months. It has quite literally been second-to-none and the team has made a really measurable difference to my business. Karen Westgate, project officer at North Tyneside Council said: “We are delighted to be able to launch the campaign with a business such as Jackie Collins Consultancy Ltd which will provide a valuable service to the local business community and help local people to find employment opportunities. 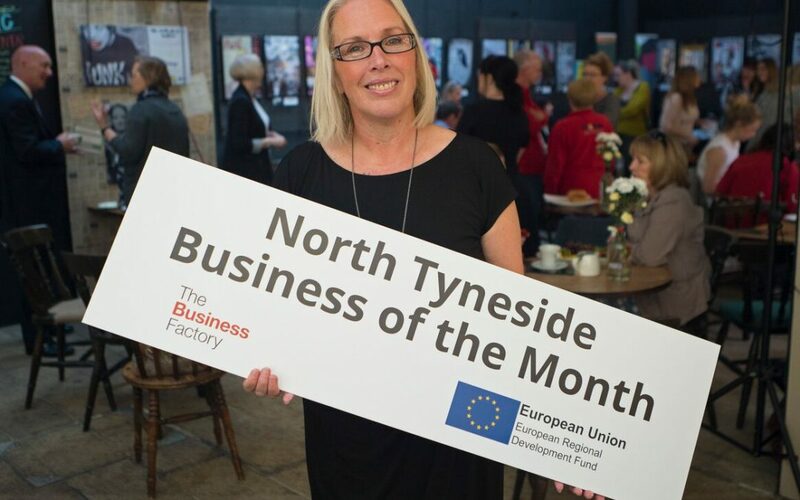 Any SME in North Tyneside can nominate themselves or somebody they know to be crowned Business of the Month; simply provide a reason – ideally within 140 characters – why they think they should be selected and come along to the monthly business coffee morning held the first Friday of every month.